Start Building Your New Home Today! 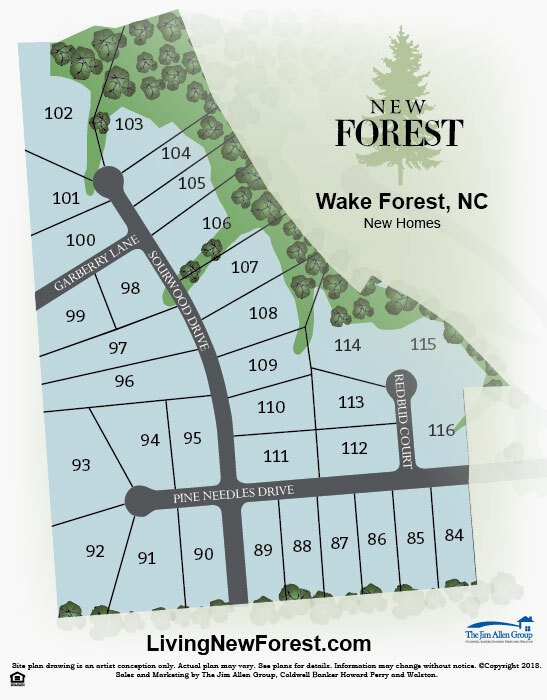 New Forest Subdivision is the extension of Woodland Church Road. From Raleigh, take Six Forks Road, cross over 98 which is New Light Road, continue on New Light until it becomes Bruce Garner, turn left into New Forest.